A WORLD LEADING REASEARCH AND TALENT BASE. London, England’s capital city is one of the most desirable cities in the world to live and boasts one of the world’s great centres for life sciences. With a rich ecosystem that drives innovation and commercialisation in addition to world class science in our universities and research institutes, London is an attractive city for jobseekers wishing to work in life sciences sector. As a world-leading centre for life sciences, London’s life sciences sector is booming with new jobs created by international investment tripling in 2014 – 2015 compared to the previous year. Leading International companies are drawn to the capital to take advantage of the word class research in Leading Universities and research institutions, the highly skilled world leading talent, the strong financial sector and London’s diverse population, providing unique clinical research. With more than 50,000 students studying medicine, a rich ecosystem, world class science in our Universities and research institutes, generating more research papers than in any other city in the world after Boston. Driving innovation and commercialisation and being the number one preferred relocation destination for professionals and the most popular city for those considering working abroad, London is an attractive city for jobseekers wishing to work in life sciences sector. 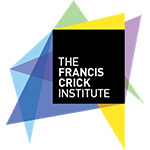 The Francis Crick Institute (the Crick) is a biomedical discovery institute dedicated to understanding the scientific mechanisms of living things. Its work is helping to understand why disease develops and to find new ways to treat, diagnose and prevent illnesses such as cancer, heart disease, stroke, infections, and neurodegenerative diseases. The Crick is a consortium of six of the UK's most successful scientific and academic organisations - the Medical Research Council (MRC), Cancer Research UK (CRUK), the Wellcome Trust, UCL (University College London), Imperial College London and King's College London. 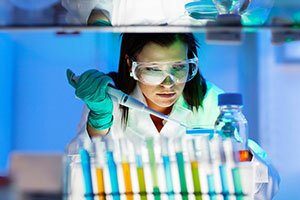 At the heart of the Crick's philosophy is a commitment to the highest quality science. We believe that the necessary quality can only be delivered through a focus on the best and most imaginative scientists, which in turn requires a broad and flexible approach to our scientific programme. Around the world, organizations are creating more data every day, yet most are struggling to benefit from it. 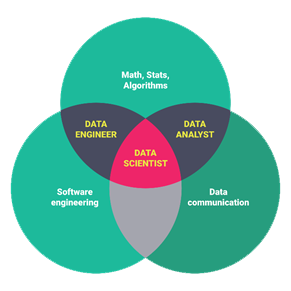 But what is a data scientist? Data science teams come together to solve data problems an organization might face. Each individual will have a different part of the skill set required to complete a data science project from end to end. 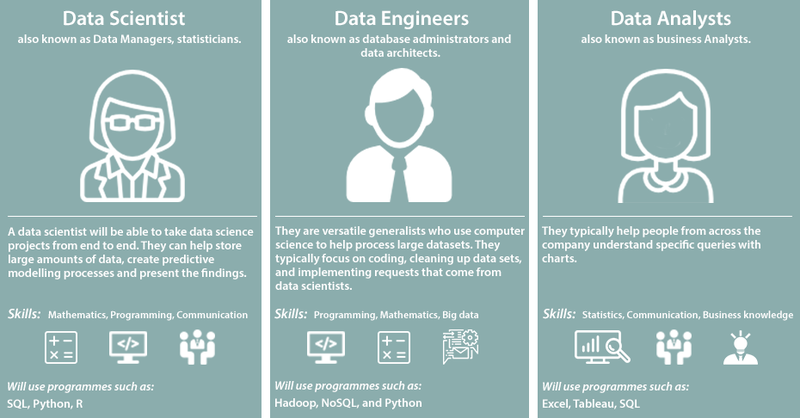 The roles within data science are really a set of complementary roles but each have a specific vocabulary. There are data scientists–but there are also data engineers, and data analysts. The data scientist’s skills – advanced analytics, data integration, software development, creativity, good communications skills and business acumen – often already exist in an organisation. Just not in a single person. Such people are also likely to be spread over different roles, such as statisticians, bio-chemists, programmers, computer scientists and business analysts. And they’re easier to find and hire than data scientists. A data scientist will be able to take a business problem and translate it to a data question, create predictive models to answer the question and present the findings. Skills You’ll Need: A deep knowledge of data storage and warehousing solutions (SQL and NoSQL – based), and programming frameworks such as Hadoop and Spark that can help you source data and process it. Typical background: Computer science, engineering. VIEW OUR DATA SCIENTIST JOBS IN LONDON HERE. Internationally promoting life sciences investment, entrepreneurship and industry in the region, it’s supported by the Higher Education Funding Council and the Mayor of London, and works with the region’s academic, research and NHS institutions, as well as local enterprise partnerships and the Mayor’s official promotional organisation London & Partners. Over the next 20 years, MedCity will position the greater south east of England as a world-leading, interconnected region for life sciences research, development, manufacturing and commercialisation. London is one of the world’s most famous city’s, with its population of 14 million in the Metropolitan Region (the second most populated of Europe after Moscow) turning London into a dynamic city full of opportunities. London’s lifestyle is intense and pleasant. It is one of the most cosmopolitan cities of the world, with people from many different ethnicities, religions and countries. 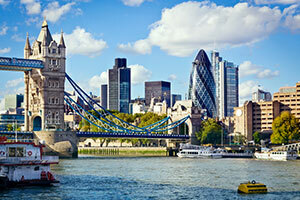 Apart from its millions of residents, London receives more than 15 million tourists every year. The architecture of the city has a typical English style, with buildings of moderated height with classic basements. With the London Underground, the transport means are quick and very accessible. Whilst London is one of the most expensive cities in the world, life standards are high and the jobs pay good salaries. Its dynamic pace attracts millions of people from any age that delight in the numerous activities offered in this dynamic capital city. Whether it’s the shopping, restaurants, pubs, sports, concerts, or its world famous West End Theatre’s, London makes for one of the most diverse cities to live in the world.